Kalinu Technology Co, Ltd is a professional manufacturer of microscope products, endoscopes, low vision device and other optical instuments. 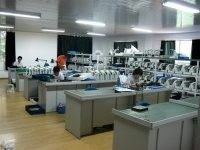 Our company founded in 2005 and after years of developing, now we are the main exporter and manufacturer in China. We supply good quality products at a very reasonable price all over the world. We have powerful technical support and good after-sales service. 1.Microscope and Lens: Stereo Microscope,Biological Microscope,Zoom Lens and accessories. If you are interested in our products, pls don' hesitate to contact us:ren-kln(at)hotmail.com. 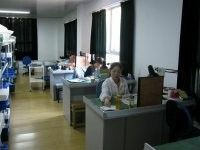 We sincerely hope to establish long-standing business relationship with you. We are professional manufacturer of cameras, which are used in microscope,low vision,machine vision, industrial and medical field. OEM,ODM Camera and software or other machine vision solution. 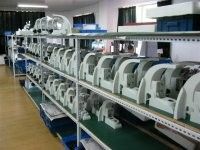 If you are interested in our products, pls don' hesitate to contact us:info(at)chinavisionsystem.com. We sincerely hope to establish long-standing business relationship with you. After-sales-Department: Ms Gao and her assitant will provice good service.